Centra is the ultimate software tool for managing and recording events that are received simultaneously from different sites, different clients, and by various communication lines. 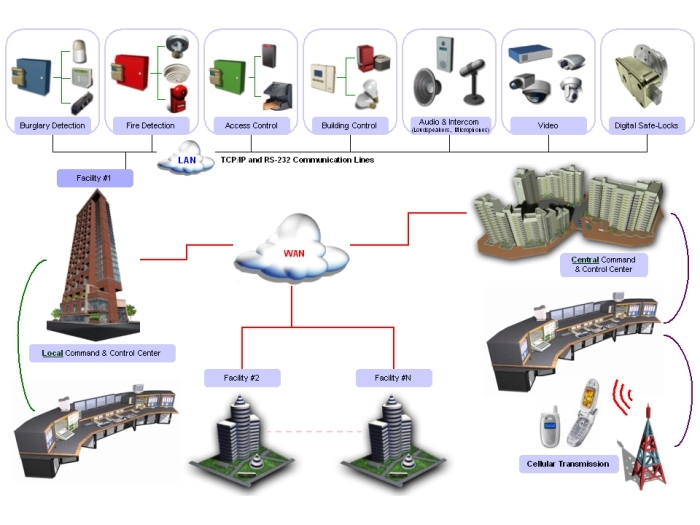 Centra is ideal for municipalities, security service companies, large organizations, etc. Centra is a full Client/Sever software based on SQL database engine. Centra provides rapid access to client and site databases using a geographical/municipal map of the event’s location whenever an event occurs. Centra is suitable for various input devices received by both wire and wireless lines with multiple protocols. Security message can be sent to mobile phones and pagers whenever an event occurs. Centra is an easy-to-operate software for the central station; the operator’s comments and actions per event are stored in the database and can be easily retrieved at any time. Centra also provides daily, weekly, and monthly reports per client and powerful database search tools.